With amazingly interactive concept files, tons of practice questions, a quizzing system that can actively gauge your preparation, a neural-network powered tutor engine, and loads of live sessions led by the world’s best instructors, Verbal Live Prep is 4X more interactive than any other course out there. Using tools used in the classroom, the instructor can identify the areas you are faltering on and the reasons for the same. This enables the instructor to provide feedback specific to you so that you can improve faster and ace the GMAT. Think that an online classroom is boring? Think again!! In our online classrooms, you will ask questions, think about scenarios, cross question the instructor and through these interactions take your understanding to a level that you cannot think of in a physical classroom. Our instructors are leaders in their fields, know the subjects inside out, and are dedicated full time to helping you succeed. It is no wonder that they are rated the best. You will experience their passion to share their knowledge and to help you succeed in every class. The live sessions were excellent. 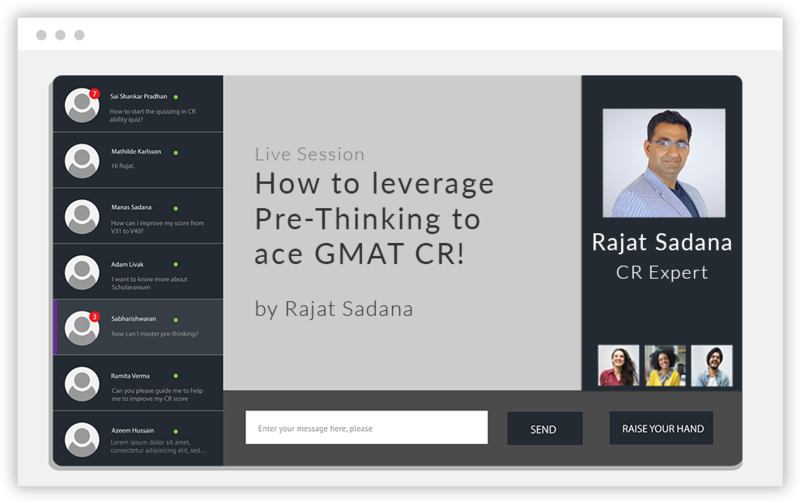 One other thing I loved about e-GMAT’s live sessions was that the community is quite interactive. In addition to learning from the instructors, you also learn from community members. If you have a V32 in your prior attempt, we guarantee a V36. 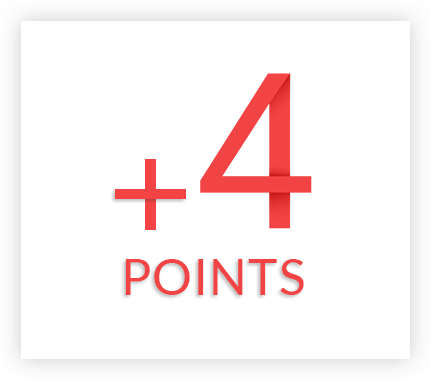 Even when your starting score is a V37, we guarantee that you can improve to a V41 (94 percentile!) on GMAT Verbal. 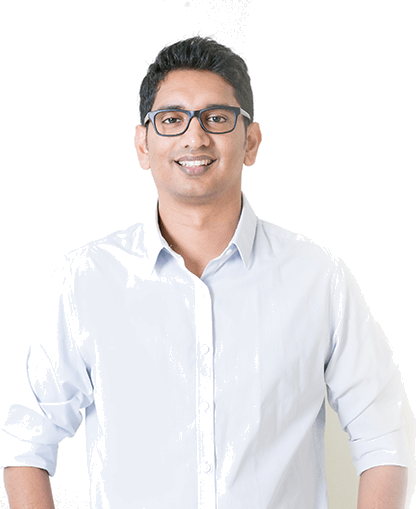 Verbal Live Prep is the only course in the world that dares to guarantee a score up to 94 percentile. And not only this. We have delivered on this guarantee. Out of the 3,400 people who have registered for Verbal Live Prep since July 2015, we had to issue refunds only in 23 cases, which is fewer than 1% of the students. 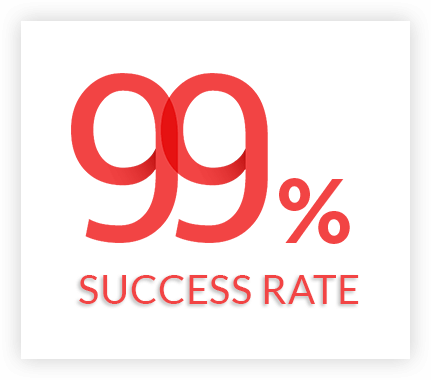 Essentially, the course has been proven successful for more than 99% of our students. With more classroom hours, higher success rate, and better instructors, it is not a surprise that Verbal Live Prep is the world’s most reviewed course on GMAT Club. 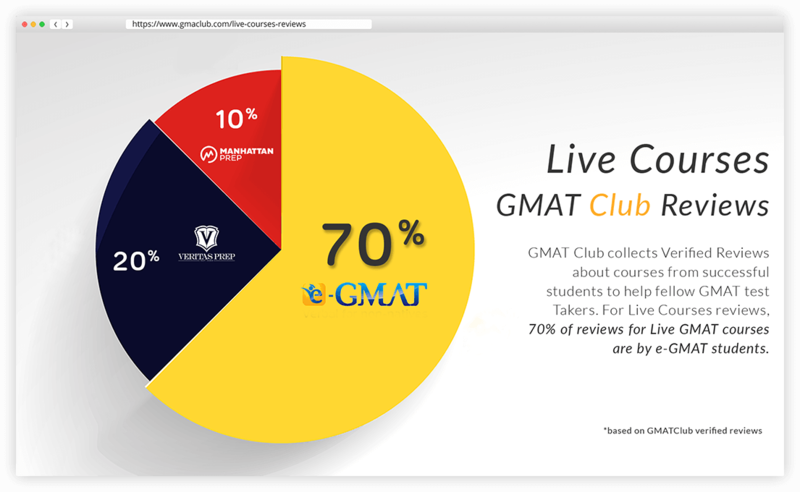 More than 70% of all reviews for Live courses by GMAT Club members have been for Verbal Live Prep. 1 Only Comparing Verbal Sessions. 2 Trademarks belong to respective companies.